Welcome to The China Secret review! Pretty hype-y! Look at that income amount! It’s possible that this is a true amount, but I really hope that this video doesn’t imply anyone can make that in a super fast period of time. We’ll find out soon…what is The China Secret? 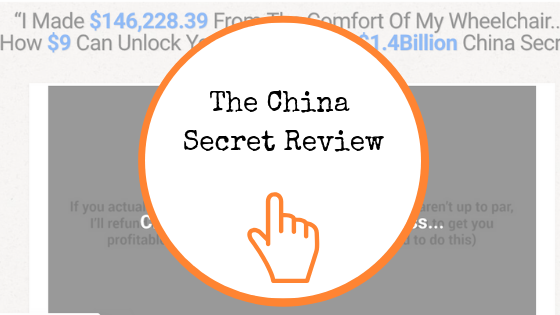 Can you grab a share of the $1.4 Billion China “secret”, or is The China Secret a scam? I really enjoy reviewing these products because it’s so fun to watch these silly videos! Who knows? Maybe this one won’t be as bad some others I’ve reviewed here. I always love to give you the option to skip all the writing that’s about to happen down below and just go right to my favorite way to make money online. Click the Button for My Free Guide to Making Money Online for Beginners and Get Started The Right Way Without All the Marketing Hype! Here are the areas we’ll explore in this The China Secret review. How Does The China Secret Work? Is The China Secret a Scam or Legit? Our narrator never says his name (I later learn it’s Robert after purchasing), so I have no idea who is behind this product. His story is that when he was 54 years old he lost his job, which also made him lose his home and eventually his wife. He started doing research online about different opportunities to make money. He tried everything, but was never successful. “Have you ever felt like you were a failure?” All those “fat-cat gurus” never tell you the truth about how to make money online. They just try to sell you some old system. Then, three months ago he stumbled on a “secret” that changed his life forever. He learned how to pillage a $1.4 billion dollar industry that’s ripe for the taking. It all started with a program in China called WeChat. Apparently, this is a popular app that uses advertising to make money and it makes a LOT of money – billions! Facebook Messenger is the American version of that. The industry isn’t as huge yet – only about $1.4 billion, but it’ll be growing. There is huge profit to be made inside of Facebook Messenger. It’s a brand new, untapped market. He’s giving this away for only $9 but there is a catch. He needs testimonials! So, if you’re successful with this, he just wants a testimonial in exchange. You’ll never see an opportunity like this again! OK, pretty interesting stuff. It was a little hype-y, but not too bad. Let’s dig in a little more with this one and see what it really does. Well, we at least know a little bit about this product from the sales video. I’ll give him credit there. It looks like this is about Facebook Messenger advertising. This is a fairly new way to marketing in Facebook, so this is pretty interesting. I don’t always buy the products, but for $9, what the heck? I’m interested to see what this product looks like. Of course, as soon as I pay, I’m hit with an upsell for a product called The Insiders Circle for $197. Why not just give me everything I need the first time? Of course, I’m going to skip past that. Then I’m hit with another upsell. This is a product called Crypto Millionaire Calendar and this one is $97. Nope. No thanks. I’m hit with a THIRD upsell. UGH. Now I’m getting annoyed. This one is called MAX Profit Booster and it’s “ONLY” $77. I”m not going to take a big look into the cryptocurrency or e-commerce trainings, since I bought this product for the messenger information. The first PDF for the Messenger training was all about chat boxes and setting one up for your Facebook page. A chat box is a way to communicate with people automatically who come to your page. There is information here about why they work, and why they sometimes fail and which outside sources you need to get it all set up. There is step-by-step training on setting this up. I see that a lot of effort was put into this training, so that is good. Just scrolling through it, at actually looks kind of complicated. Even though Robert told us it would be really easy. Now, it could be pretty easy if I followed all the training step-by-step as I put it together. It’s detailed info, so that’s a positive thing. The second PDF is all about using chatbots for Facebook Messenger and why you get better results with this versus email. This PDF goes over the basics of your chat box, how to use it in messenger and other ways you can promote your chat box. You can also use it with YouTube and Instagram, however, it looks like you will need a special tool to do that. I’ve skimmed through both PDfs, so let’s talk about whether this is legit. I definitely don’t think The China Secret is a scam. You really do get some pretty good information for your money. Especially since it’s only $9! 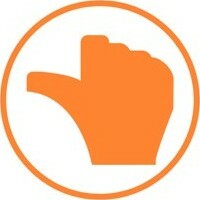 I’m going to give this my middle thumb. There are some positive and negatives about this one. I think this is one that I’m going to keep in the back of my mind for the future. I’m really busy working on this site so I don’t have much time to invest in learning about how to set up a chat box at the moment. But this could be good to know for later down the road. I’m going to go ahead and provide the link for you because this could be an interesting avenue. I would not recommend this for anyone who’s new to making money online. This would be for people who already know about Facebook pages, affiliate marketing, promotions, etc. However, even if you are new to this world, it’s only $9 and you can certainly learn something here for later use. I don’t recommend buying the upsells! Click Here to Try Out The China Secret. 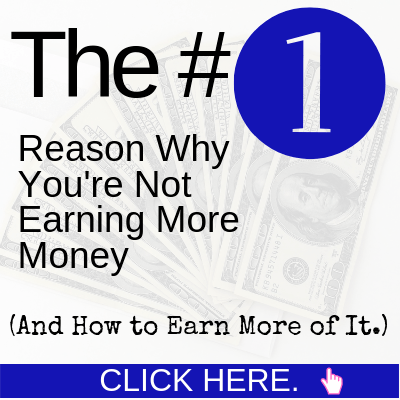 Let’s move on and talk about my #1 recommendation to learn how to make money online. 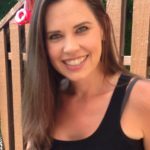 The China Secret is decent, but you need to have an online marketing foundation before you can really take advantage of what they’re trying to teach. (In my opinion anyway.) That is why Wealthy Affiliate continues to be my #1 recommendation for learning how to make money online. Wealthy Affiliate helps you lay down all the groundwork and teaches you how to set up a successful affiliate marketing website. You will get step-by-step training so that you can set up your website properly for lasting success. You will also get all the tools you need – web hosting, domain purchasing, keyword research tool and – this is huge – SUPPORT. Once you have all of these things in place and you have a website up and running, then I would recommend looking into something like The China Secret. Lay the foundation first, and then add on to that. Click the Button to Get a Free Starter Membership at Wealthy Affiliate and Get the Tools and Skills You Need to Build a Proper Money-Making Website. I would consider The China Secret as an add-on to something like Wealthy Affiliate. You can see from the comparison chart that Wealthy Affiliate offers absolutely everything you need to get started making money online through affiliate marketing. This is the best place to start because everything is all in one place! Do you have any questions or comments about The China Secret? Have you looked into Facebook Messenger marketing? What do you think? Is it an untapped market? Leave me comments down below! Hi Christina. Thanks for your honest review of the China Secret. I can see why it is only $9 because they hope you will buy the upsells! I almost got hooked up on another deal with crazy prices on the upsells. So from what I am reading you think the the $9 might be worthwhile just to get your hands on the PDF? With regards to your recommendation on Wealthy Affiliate – there are no hidden costs or agendas which is why they are such a successful business model. Yup! You got it! They get you in with a lower-priced product and then hit you with upsells. (They also get your email address so they can sell you even more things.) That’s just the way it is and as long as you keep an eye out for those tricks, you’ll be fine. I’m glad you recommend Wealthy Affiliate too. They are my #1 recommendation for a reason! Hello and thank you for this informative and thorough review. It was a really good read. Through my career I’ve seem many shady online products from different owners. It is obviou that Chine Secret is not a complete scam but still, I would not invest in it. I loved that you mentioned WealthyAffiliate. I am a member for a 7 months already and I am really satisfied with what they have to offer. I created awesome website thanks to them. Your website looks nice also. How long did you had your website Christina? I’m so glad you’re loving Wealthy Affiliate! It’s the best tool that I have and one that I use daily. Thank you for sharing with us this wonderful review on The China Secret.Many people are trying to make money online and many programs which can help them make that money are increasing every day.Most of those programs are scam which is a big problem we are facing. Thank you for helping people find the programs which can and can’t help them get what they want. I agree! There are so many scammy products out there, it can be really hard to navigate what’s good and what’s not. Thankfully, this product is actually pretty good. I know I learned a thing or two from it! There are a lot of bad programs, but they’re not all bad! It is really interesting that a $9 product has some usable information. It is also too bad that using so much hype will turn off a lot of people. The other thing that will turn people off is the upsell and the two downsells. From what you said there was some information included that did not directly relate to the product you bought. I think some product creators will try to add value by including some PLR products that they bought even though it only adds confusion. Agreed, Tom! Those upsells do add confusion, in my opinion. Especially when they’re already included in the product! Can you imagine if I would have purchased that crypto calendar, and then I find out it’s ALREADY in the product? What? I would be so mad! Nope, best to stick with the original product and forget those upsells. Another great review on your website! I’ve never tried China Secret, but your comparison tab makes it obvious that I will stick to Wealthy Affiliate without a doubt. 9$ is not a big fee though. But they don’t seem to have many features compared to WA, and as you said it, you need to already know a lot about affiliate marketing to be efficient. Depending on my affiliate marketing knowledge, I might go back to it one day (but honestly I don’t think so). Hey thanks for stopping by, Ben! I always feel like there are tons of ideas and ways to do things that I don’t know about yet, and The China Secret is definitely one of those ways. I’m glad I know about it now because it’s another tool in the toolbox for later on. Wealthy Affiliate is a different kind of product, but it’s the BEST place to learn affiliate marketing, especially if you are a newbie.